WesSpur has a great variety of split tails available with hand-spliced or sewn eyes, in traditional 5” eyes or tight eyes. In addition to the pre-made split tails below, we are happy to splice custom prusiks for you. Contains everything needed to add a split tail with the Blake’s Hitch to your bag of tricks. For use on 1/2” climbing lines. Contents: 16 strand split tail, CMI micro pulley, small brass swivel snap, 2 Rock Exotica Pirate double-locking carabiners. Note: The Bee-Line 3/8” Prusik is recommended for use on 7/16” lines. These tight eye split tails are professionally spliced out of arborist climbing lines with an eye that is just large enough to slip a carabiner through. 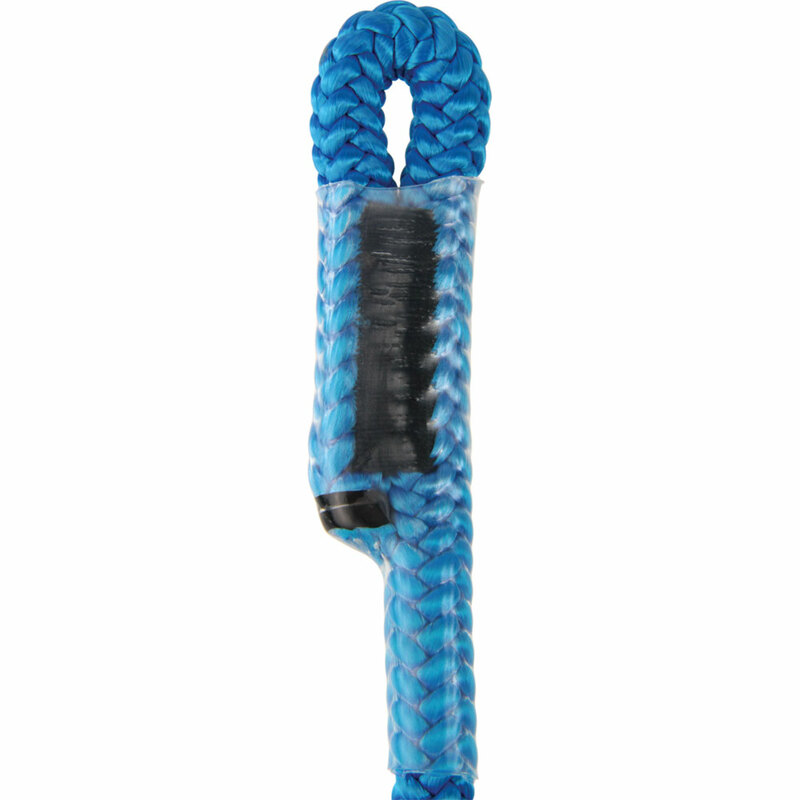 While these split tails cannot be girth-hitched, the snug fit of the hand-spliced tight eye can help keep the carabiner in the proper position. 60” overall length. Split tail climbing is a versatile climbing technique that saves wear on your rope. 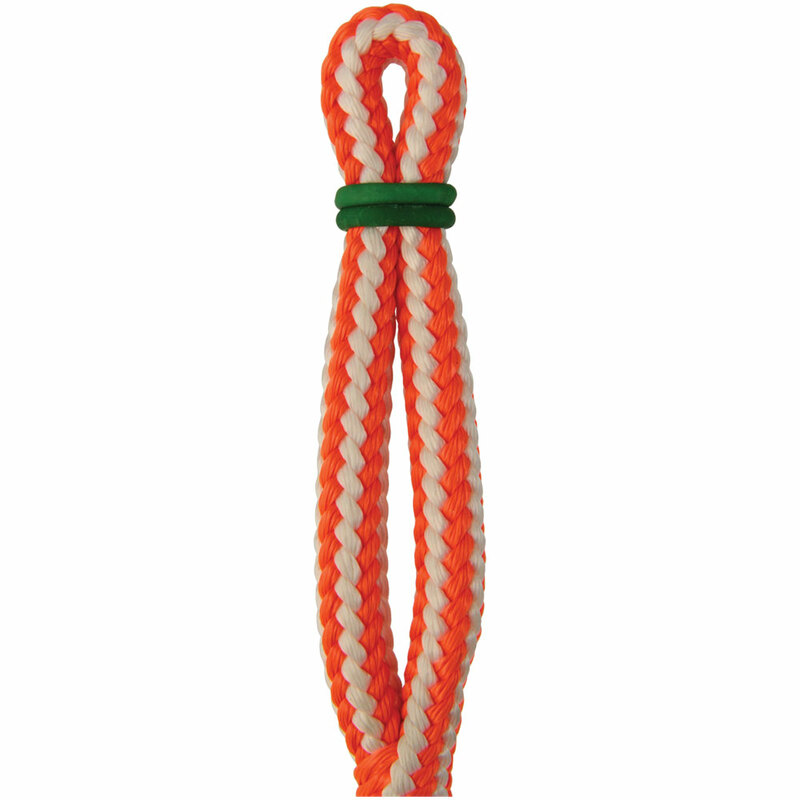 60" overall length, with hand-spliced 5” eye which is the perfect size for girth-hitching onto a carabiner. Custom split tails available by request. Note: The Bee-Line 3/8” Prusik is recommended for use on 7/16” lines only. On 1/2” lines it bites too much. These tight eye split tails are professionally spliced on an industrial sewing machine. The eye is just large enough to slip a carabiner through. While these split tails cannot be girth-hitched, the snug fit of the Viking-spliced tight eye can help keep the carabiner in the proper position. 60” overall length.